New Delhi | June 4, 2018| While India is playing a global host to the World Environment Day 2018, themed ‘beat plastic pollution’, Greenpeace India today sent a strong message to the retailers and Fast Moving Consumer Goods (FMCG) manufacturers and urged them to take responsibility for the trash they produce. The packaging industry is one of the major producers of plastic. 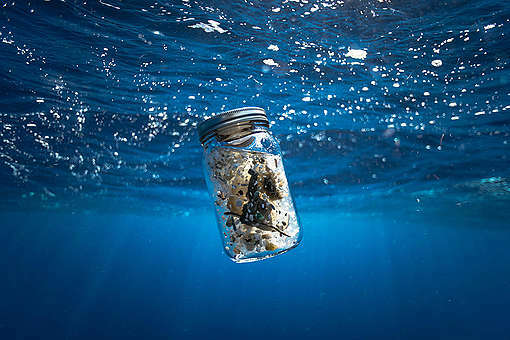 Single-use plastics –such as PET bottles, caps, food wrappers and plastic bags — produced in FMCG and retail are four of the top five pollutants in the ocean, as per the International Coastal Clean Up report released last year. “With a staggering figure of 24,940 tonnes plastic waste produced in India per day, it’s more than urgent to rethink our use and dependency on single use plastics. Plastics, which are considered non-biodegradable have the potential to destroy our ecology. Single-use plastics are always going to be throwaway plastic, regardless of whether a company is able to recycle a percentage of them. 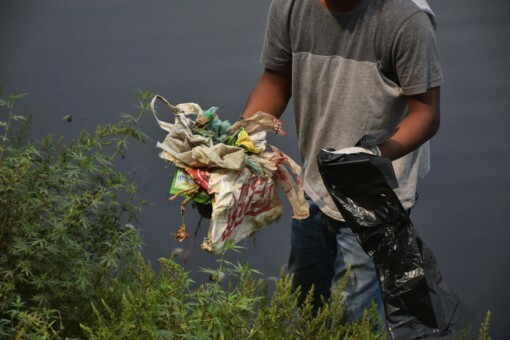 We know that over 90 percent of the plastic waste produced has not been recycled globally, and eventually a proportion of that packaging will end up polluting our environment.” says Diya Deb, Campaign Director, Greenpeace India. She added, “Whether it is packaging in supermarkets, storage in our homes, or indiscriminate use of plastic by the packaging industries, it’s time to question its presence in our lives. We have lived in a world, which was plastic-free before, and to #BeatPlasticPollution, we as citizens and groups need to unite in identifying top corporate polluters and force them to consider upstream solutions and redesign efforts”. In India the boom in the FMCG sector post globalisation has opened up the economy to several multinational companies, which has led to massive use of plastic in packaging of products, such as fast food, beverages, beauty products and toiletries. While these companies make billions from selling goods packaged in plastic, the onus, of dealing with the plastic waste they produce has been passed on to the consumer. Companies need to take responsibility for their products and packaging, not shift the burden of disposal onto developing countries like India. 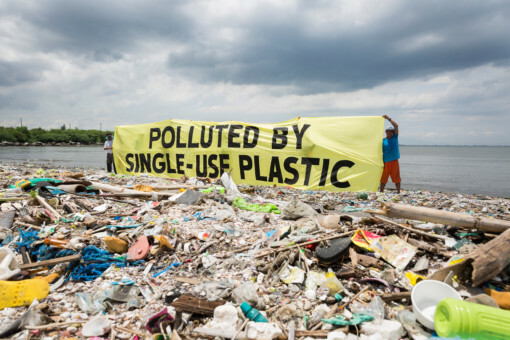 Greenpeace is calling on companies and manufacturers to take a hard look at their production of plastics and move toward dramatically reducing – and eventually phasing out – of throwaway plastics. The government, which has been so far buckling under pressure of a strong pro-plastic lobby, needs to legislate binding reduction targets, invest in new and reuse delivery models for products, and hold corporations accountable for the problem they have created. Delhi is leading in producing plastic waste compared to all the metros CPCB report 2015 states that Delhi (689.52 tonnes), Chennai (429.39 tonnes), Mumbai (408.27 tonnes), Bangalore (313.87 tonnes) and Hyderabad (199.33 tonnes) are the cities producing maximum amount of plastic waste in the country.